There is famous line from the film Jerry Maguire when Tom Cruise (playing the title character) says, “You complete me.” That isn’t true, Oprah says. Watch Oprah, Spiritual Partnership author Gary Zukav and his wife, Linda Francis, as they discuss why, as opposed to looking for the right person, you should work to make yourself the right person for you, and the right person will be drawn to you based on the work that you’ve done for yourself. Join Oprah in opening yourself to love and authentic power, through this special online course with Gary Zukav. The Awakening to Authentic Power course is an extensions of Gary’s book, The Seat of the Soul, in which you can immerse yourself in understanding. Become grateful, appreciative, content, and patient through this process, and develop strong relationships of substance and depth with Gary’s support. Spiritual partnerships are arenas for discovering and challenging your fears and exploring and cultivating your love with experiments, bold ventures into the eternally new territory of the eternal present moment. In her introductory Lifeclass, Oprah explains how Gary Zukav’s message of love has given her a purpose in life. 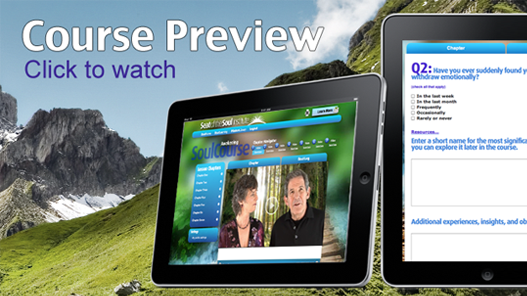 In her Super Soul Sunday programs, Oprah and Gary explore how to create Authentic Power and Spiritual Partnerships. Gary would like to invite you to continue the journey you have started in Oprah’s Lifeclass through his new Awakening to Authentic Power course. Oprah describes one of Gary Zukav’s core messages: that you have the power to change your perspective from one based in fear to one based in love. As Oprah suggests, the ability to make this shift is grounded in understanding yourself and your emotions, and how these can have an effect on your relationships with other people. Gary Zukav teaches us that we can choose to see ourselves and others in a loving and appreciative way, and, in doing so, transform our challenging experiences into blissful opportunities. Gary’s approach to finding authentic power is one in which we can access our own creativity and joy in life. As Gary explains, we all have the ability to act from the healthiest parts of our personalities, and from this place, we can work toward our goals. 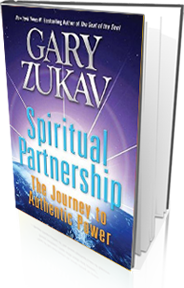 In Gary Zukav’s new book, Spiritual Partnership: The Journey to Authentic Power, the path to joy and meaning in our lives unfolds. Gary teaches us how to love more and control less, and create positive life experiences so that we can move past pain on our lives. Learning to focus on the love we give to others provides meaning, but it also clears the path for personal growth and Authentic Power. In Gary Zukav’s new Awakening to Authentic Power course, Gary gives you the keys to access your own creativity and joy in life. This course provides you with the tools you need to transform your life’s challenges experiences into blissful opportunities. Through a step-by-step process, each lesson in the course engages you in building the skills you need to become the joyful creator of your own life. Learning how to reclaim your intuition so that you can create authentic power and begin to thrive.